Grass grows during the winter if the weather is mild and if you feel the need to do so, it is perfectly okay to give it a light trim in during the winter months, provided the soil is not too waterlogged. However, you should avoid walking or cutting the grass when its frosted, as any activity on the frozen grass will cause damage and it can cause discolouration. It will recover, but it might look look very pretty until the spring. 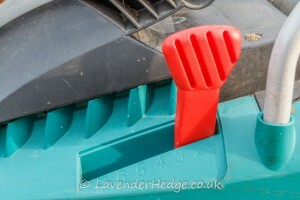 So, when the grass shows signs of growing, and the ground is sufficiently dry, you can start to regularly cut the grass. 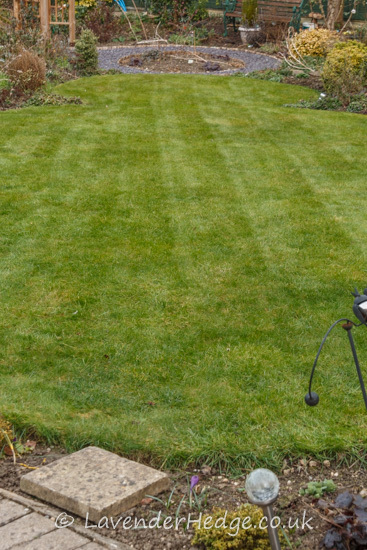 For the first cut of the season, adjust the lawn mower to its highest setting, so that you trim the minimum amount off of the grass. It might be tempting to cut it back as short as possible, but it will give the grass a shock and you could end up with more weeds as a result. 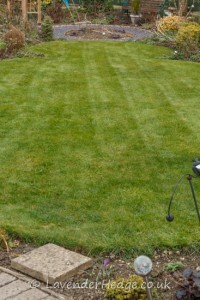 At each subsequent cut you can reduce the mower adjustment, until the grass reaches the height you prefer. 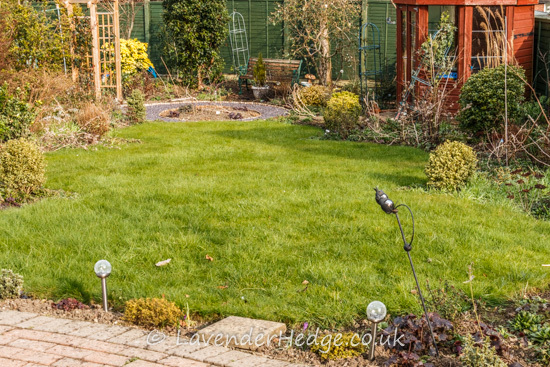 Due to the mild, wet winter we have had, our grass has become quite long over the last few months and I have been holding back from walking on it or cutting it, due to our clay soil being super saturated. Today I finally got the chance to mow the lawn, officially it’s first cut of the season. I still need to cut the edges, but at least I can walk on it again and start clearing the borders. Finally it feels like Spring is on the way!